My Very Own Lifetime Movie: Really? Yes, Really. Kath: So, are you guys still planning on coming up for Thanksgiving? Me: Sure am. I want it on record that we're having tons of meat, carbs, and sugar. Kath: Fine. But before that I was thinking of running a 5k. Me: That's great! Good for you. Kath: Wanna run it with me? Me: Seriously? Do you know which sister you're talking to? After much thought, I've decided to go ahead and do it. I'm running a 5k in two months and let me tell you something. I don't run. At least not until this morning. I ran 1/2 a mile this morning - after my sixty minutes of kick me in the ace step aerobics - and plan on running three times a week until I can run 3.1 miles without vomiting and/or passing out. I'm impressed, I can't run without vomiting at all. You can do it MB! Do it for rabies. LOL! I'll make sure to load up on some fettuccine alfredo before I start for sure! I would recommend checking out the Couch to 5K plan. Me too! 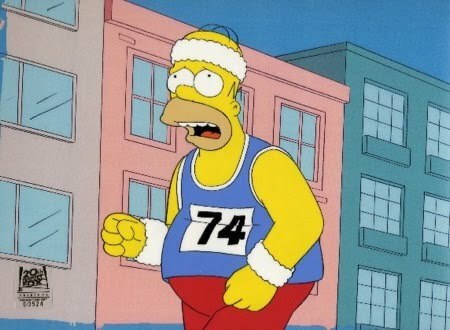 I'm actually supposed to do a 10k, but I've never even done a 5k and it is an option for the Turkey Trot. FB me and tell me how hideous that running is, b/c I'll be right there with you. I HATE it! Awesome! You'll have a great time. I'm not a runner either, and I did one a few years ago. I called it my marathon. My co-workers were so impressed. Haha. Good luck! I'm impressed. I've only been able to manage up to a mile. good for you! I wish I was joining you! I recommend the couch to 5K as well great program. You'll do fine and there is NOTHING wrong with having to walk. The couch to 5k program is great! You're running the one in Phoenix? hmmm... can I join you? !